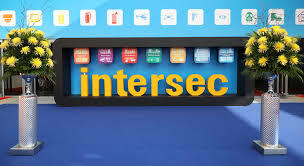 With 1,304 exhibitors and 32,750 visitors coming from 129 countries, Intersec is the largest exhibition and the most international trade platform in its industry worldwide. The high number of international trade visitors explains why Intersec is of unique value to all the target groups in the Security & Safety industry. Intersec is your opportunity to discover the latest in Security, Safety and Fire Protection, all in one platform! As part of our drive to satisfy our customers and in celebration of our 25 year anniversary, we will be meeting with broad international manufacturers and suppliers who are looking forward to show and discuss their latest products and innovations. It’s a show for every trade professional that is looking for safety, security and protection products to enhance his business. Developing topics are Safety Design in Buildings, the 3rd edition of the Smart Home Pavilion, a growing Job & Career section and a larger Live Demonstration Area for Drones. In 2018, more exhibitors will participate, promising more opportunities, exciting innovations and cutting edge advancements.